Cowboys – steady, quietly confident and honest. I love these qualities in a Cowboy. When I started this drawing, those qualities came to mind. Whether this Cowboy is silently waiting to move the herd, or counting down the last cow before suppertime, I think the “Seasoned Hand” epitomizes the Cowboy Way of Life. 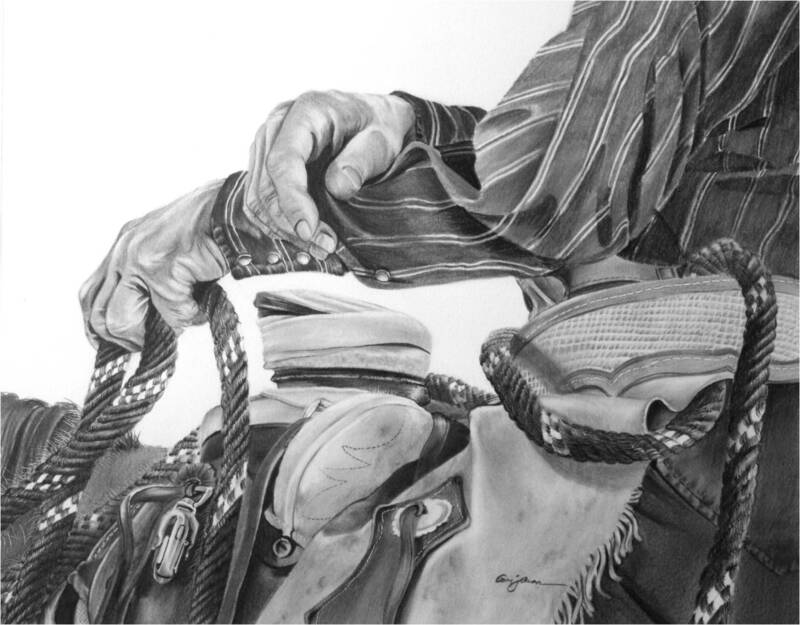 This drawing is 12 x 16, drawn with Graphite Pencil on Bristol Board Paper. 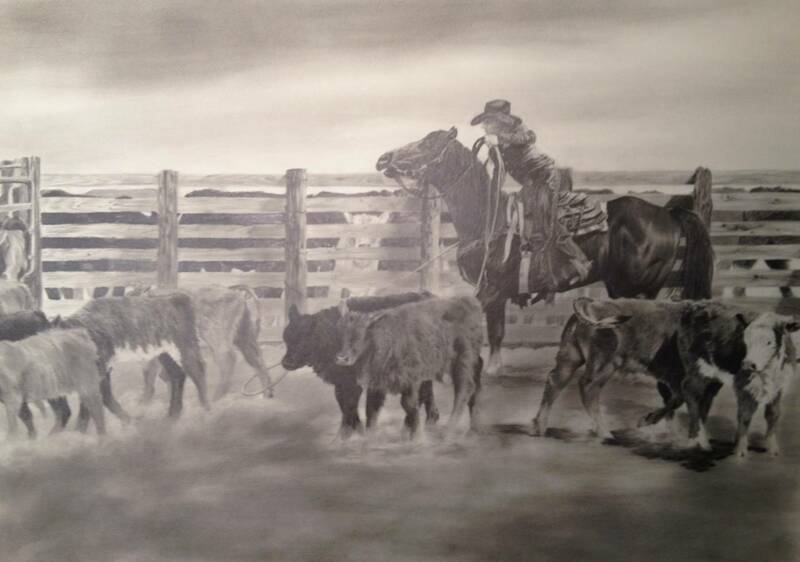 This particular drawing took on average, about 65 hours to complete. Working the Babies is a drawing that has been in the back of my mind for a long while. Where I was raised, there were several horse and cattle ranches. I would see the cowboys patiently work the baby cattle, gathering and sorting them. The mamas would get to watch from the sidelines. And soon enough mama and baby would be reunited and their life would go back to happily munching away on grass. What these times taught me is not only how patient the cowboys were so there cattle did not get injured, but how their patient ways have a calming influenced on all aspects of life. I wish I were talented enough to own and operate a cattle ranch. To work the babies, swinging the rope just so… snagging another leg…. Instead, I sit behind the fence, watching the cowboy, and patiently draw these images I see. Maybe the cowboys lifestyle is in me? Who is to say?